Affidavits are used for a number of reasons. These usually come in handy when a person needs to provide certain information and also needs to confirm that the information is totally authentic. Affidavits are legal documents that thereby bind the person legally to offer true details. With a wide range of general affidavit forms available, it becomes easier for the people to design an affidavit that is required for a specific purpose. Affidavit Forms give them an idea of the format to follow when designing an affidavit and the segments to be included in it. This form is used by a person to issue an affidavit about certain facts that might be needed to prove the authenticity of a claim. 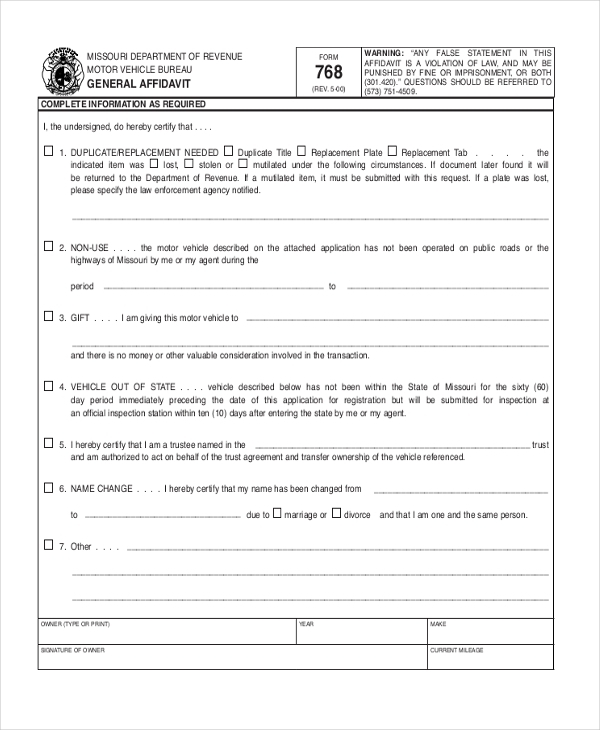 The form gives a clear idea as to how these facts should be listed in the affidavit and what other details should be added to it. 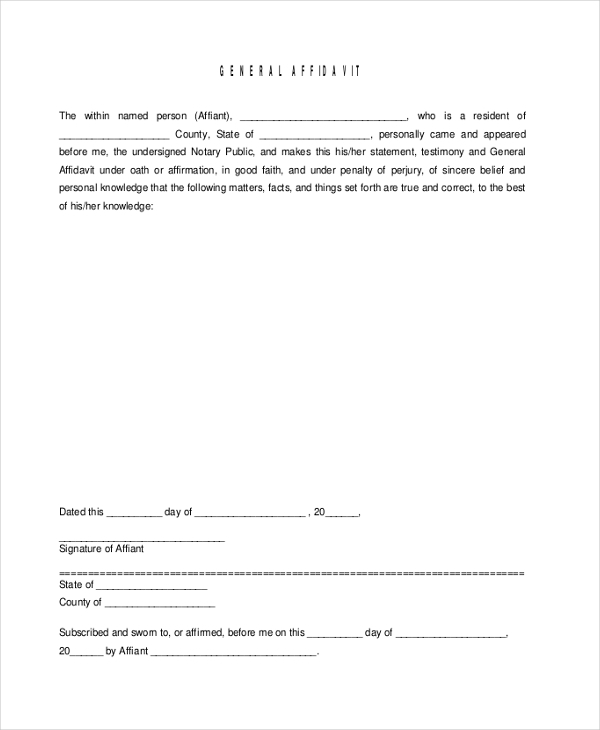 When a person needs to submit an affidavit which is signed by a notary, he can use this form for the purpose. With a proper format and important segments in place, it becomes easier for the person to design an affidavit. 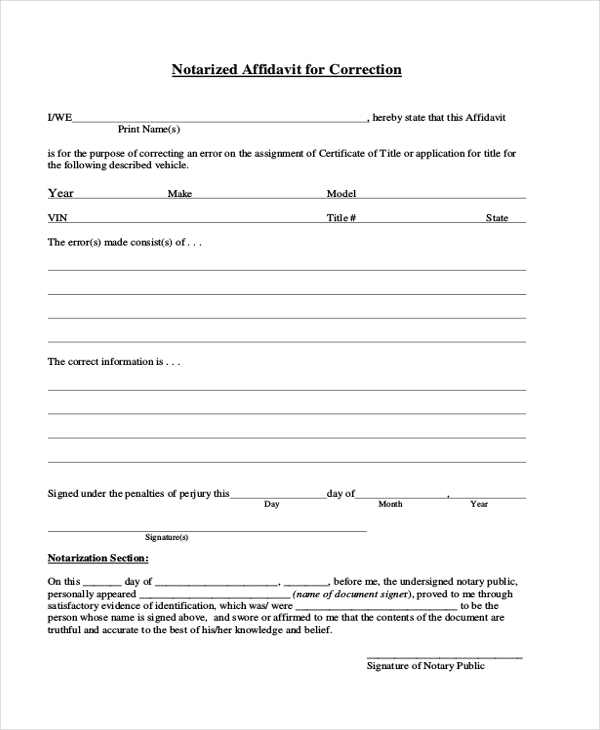 As the name indicates, this form can be used to draft an affidavit that is quite similar to the one drawn by the attorneys. The form comprises of all the essential legal jargon and segments, thus making it look very professional. 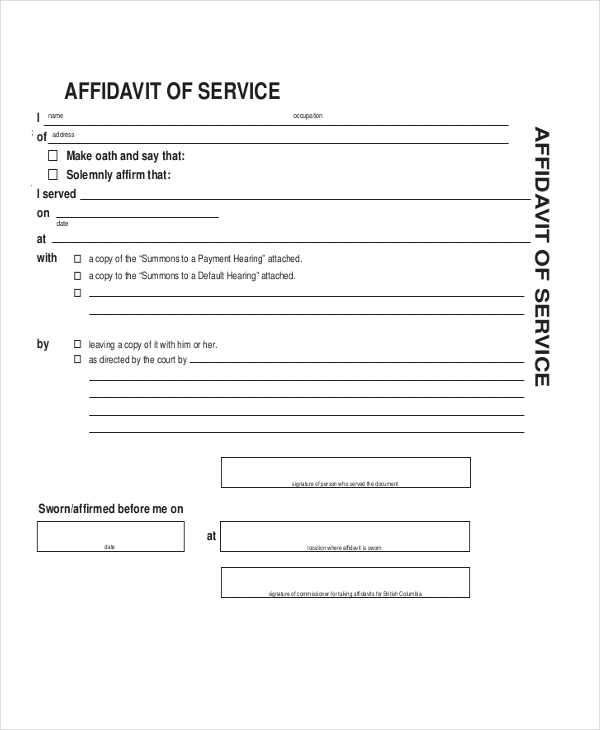 This is a blank affidavit form which can be used by any person irrespective of what his need for an affidavit it. The form comprises of the format that should be followed and the crucial segments that should be included in the document. The user can make changes to it as per his requirements. 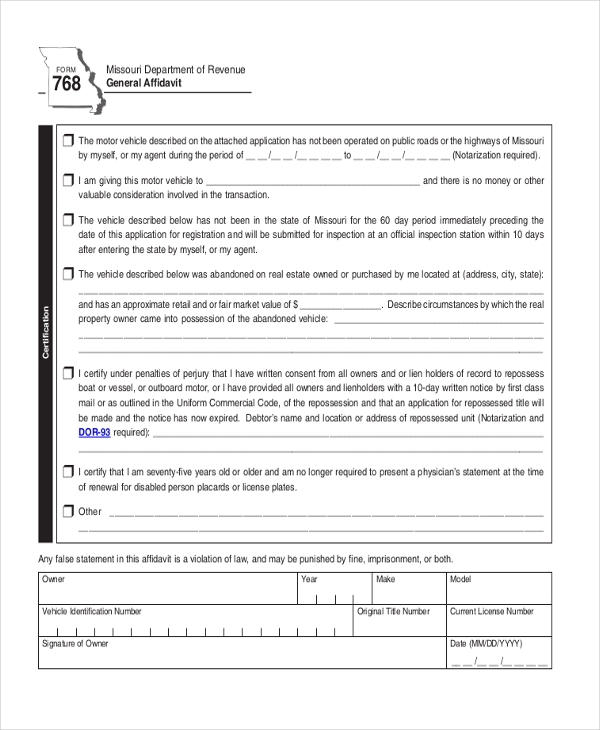 This is a sample of an affidavit form and gives the user an idea of the format that should be used when designing such a document. It also contains the essential segments and the user can further alter the form as per his requirements. When a person promises to offer his services for the country and mankind, he is made to sign this affidavit which legally binds him to keep his promise. 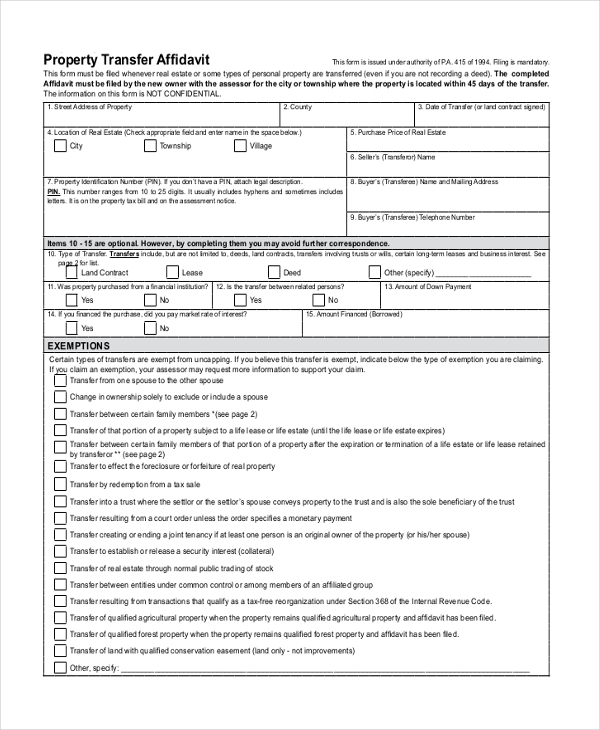 This form can be used by hospitals and other service centers and can be personalized by them. 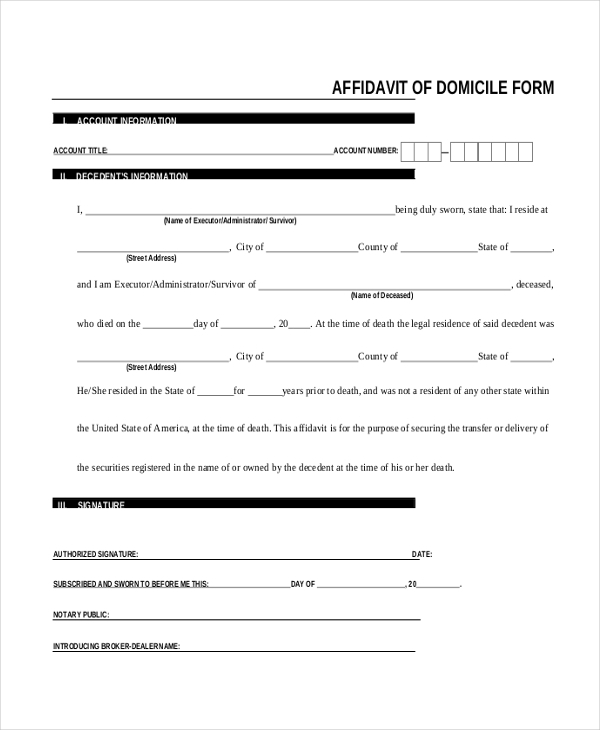 As the name indicates, this affidavit form can be used by a person who wishes to draw a legal document that states the demise of a family member or a business partner. Once the concerned authority signs and places a seal, this form can be used as a legal document. When a person transfers his property to a family member or sells it to someone, he can use this affidavit as proof of the transfer of ownership. This form comprises of the essential segments that should be included in such a document. 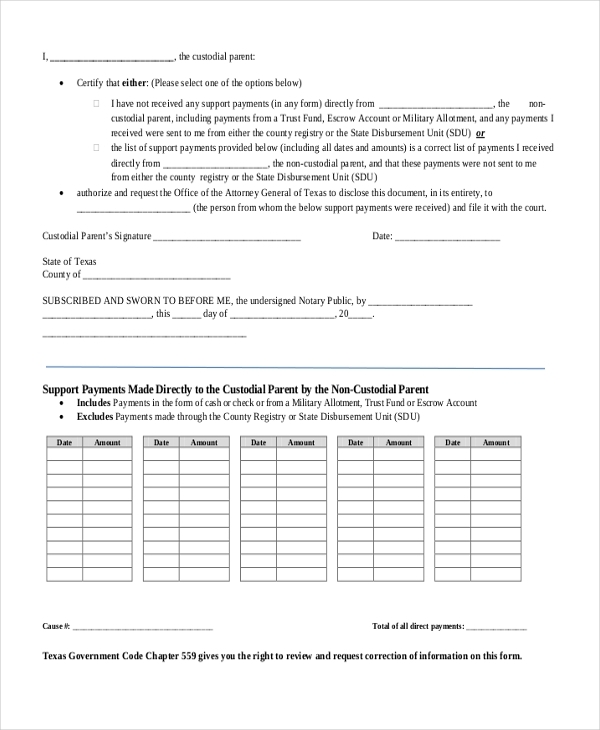 What are the Benefits of Using General Affidavit Forms? In case you are not sure how to design an affidavit, get a cue from our selection of general affidavit forms and small estate affidavit forms. With a wide range to choose from, you are sure to find one that will be apt for you. Easy to download and customize, these forms help you to design an affidavit in a jiffy, and that too without the help of a professional.